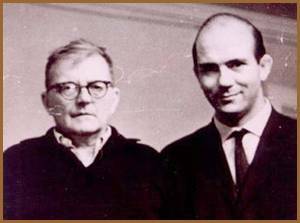 D. Shostakovich and V. Bibergan. 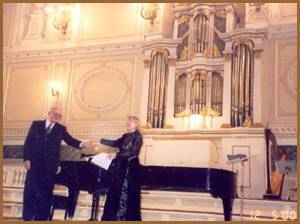 V. Bibergan with E. Ustinova. 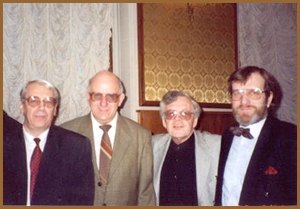 B. Tischenko, V. Bibergan, A. Petrov, M. Shostakovich. Operating group for "The Romanovs. The halo bearing family" movie; the producer - G. Panfilov. 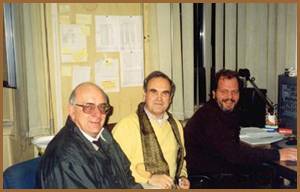 V. Bibergan, G. Panfilov, Entse Mannikone. 29.03.01. 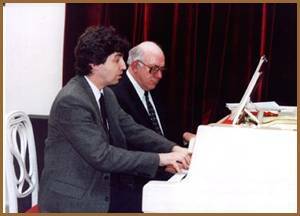 Concert of V. Bibergan a Master, with V. Palmov. The Shalyapin Museum-and-Flat.